Hello my lovelies! 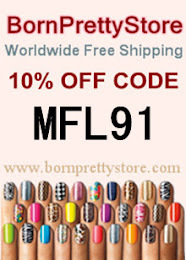 Today I'm back with another Born Pretty Store review. The nail polish I'm showing you today is part of a collection of glitter polishes that are also peel off. Since glitter is very hard to take off the nails, I often use a peel off base coat underneath so I don't have to go through the ordeal of regular removal. This polish doesn't require that base, so I was excited to try it out and see how I get along with it. Hello my lovelies! Happy new year! It's been a long time since I posted on this blog and I won't go into the multiple reasons for that, but I hope to return since I really miss it. I've still been doing my nails almost weekly, mostly without nail art, and I even managed to grow them quite a bit over the holidays. Unfortunately, my job doesn't allow me to wear long nails, so I had to chop them off. There are a lot of cool new things in the nail world that I really want to try out and am excited about. 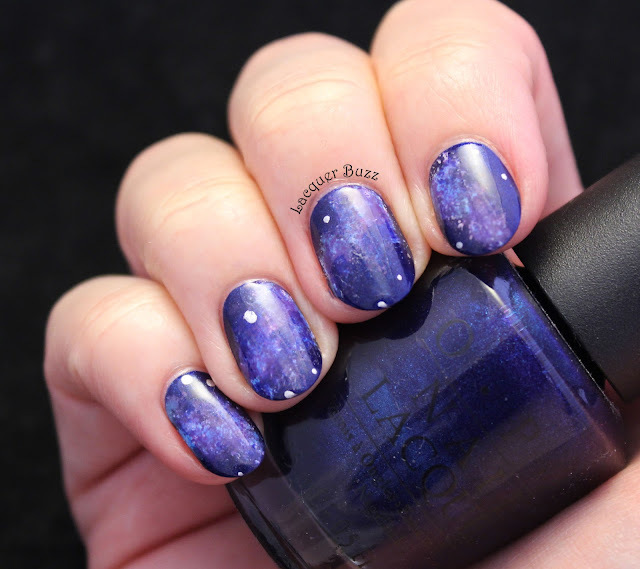 One of the things I really wanted to get my hands on is a thermal color changing top coat* and the lovely people at the Born Pretty Store were kind enough to send one my way. Here's how it looks! Hello my lovelies! 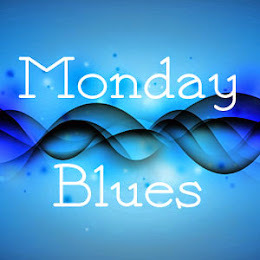 It's been a long time since I did a Monday Blues post and I missed it a lot. 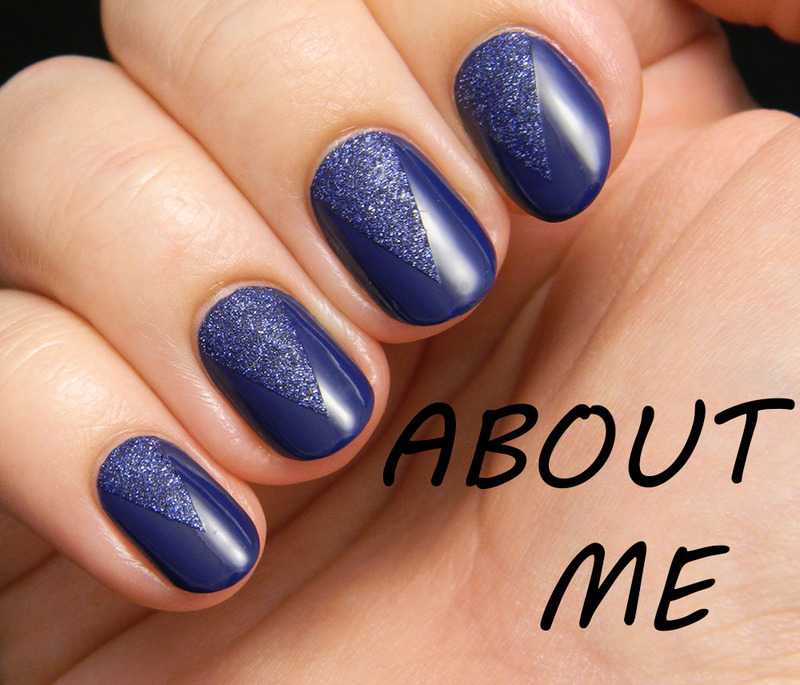 Since a large part of the manicures I wear contain blue, I have a few to show you from these past months. 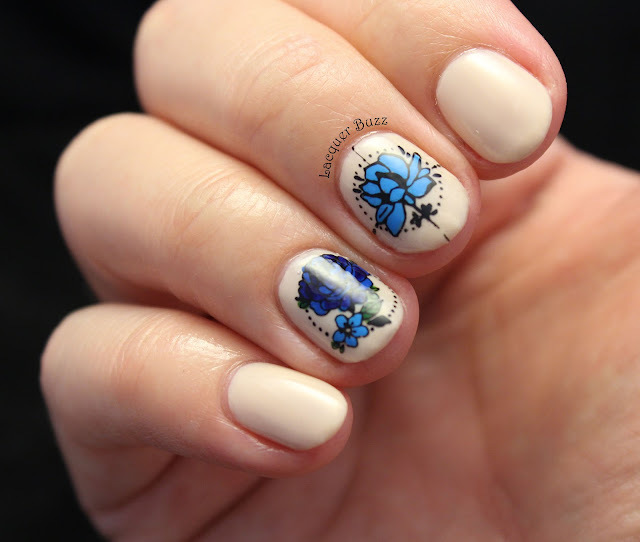 Most of them are quite simple, because I haven't done any intricate nail art lately. Somehow the patience has deserted me, so whenever I decide to do nail art at all, I do simple stamping. I know that I don't sound very enthusiastic, sorry about that. But I do love today's manicure. Here it is! Hello my lovelies! It's the first day of September, which for many people means the first day of fall. I, however, am not ready for summer to be over and since the fall equinox is only on the 22nd, we're going to pretend it's still summer. My nails are really short at the moment because they keep splitting and breaking, but I'm still wearing bright blue polish on them so it's all good. 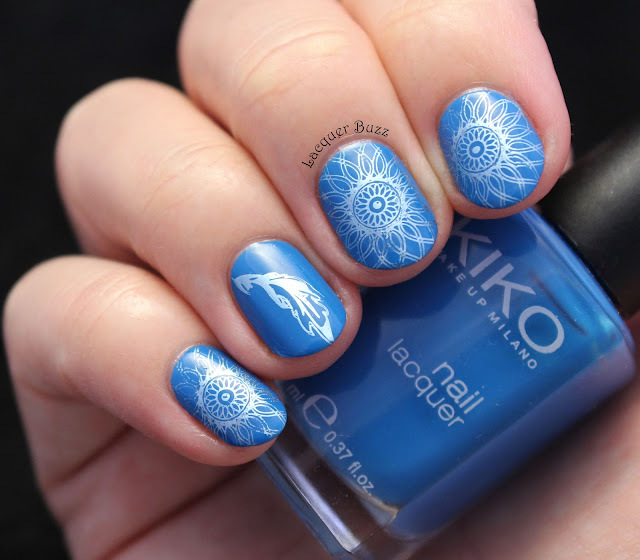 Today I want to show you an older manicure that has been sitting in my folders and I think deserves to be posted. Take a look! Hello my lovelies! It's been a long time, I know, and I am really sorry. There are multiple reasons for my lack of posts, the main one being that I'm not as excited about doing my nails as I used to be. I often do nail art and even try taking pictures but I'm not happy with the results so I end up not posting anything. Another reason is that people aren't as interested in blogs as they used to be in the past. With all the social media that requires minimal attention, nobody is interested in reading a long blog post anymore. Many of the well known nail bloggers have stopped posting a while ago. The ladies I was doing Monday Blues with also stopped posting. And frankly I just don't have the energy to tackle Instagram and Facebook algorithms, so I just stopped posting there because nobody sees what you post. But enough with complaining, today I finally have a manicure to show you. And this time I'm really happy with how it came out!